This article originally appeared on the website, Wired. 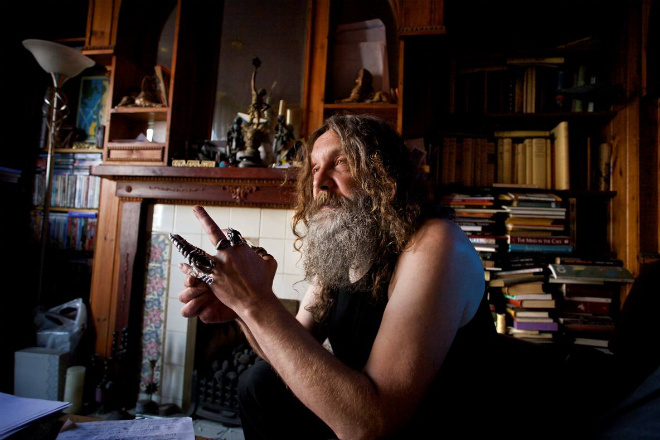 Nearly 30 years after publishing V for Vendetta , writer Alan Moore and artist David Lloyd are throwing their support behind the global Occupy movement that’s drawn inspiration from their comic’s anti-totalitarian philosophy and iconography. Moore will contribute a long-form prose piece, possibly with illustrations, to the Occupy Comics project. His writing work will explore the Occupy movement’s principles, corporate control of the comics industry and the superhero paradigm itself. Lloyd signed onto the growing Occupy Comics project last week, as did Madman ’s Mike Allred and American Splendor ’s Dean Haspiel. Occupy Comics will eventually sell single-issue comic books and a hardcover compilation, but an innovative arrangement with Kickstarter means that funds raised through pledges of support can be channeled directly to Occupy Wall Street’s populist ranks now. 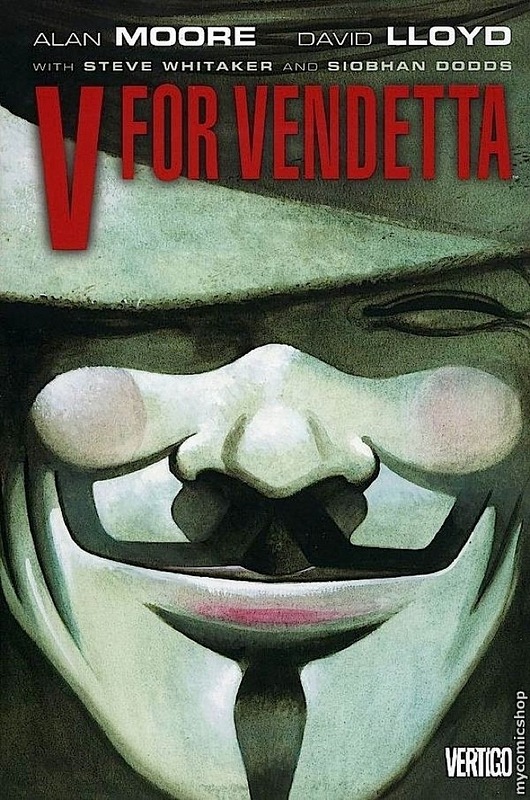 Tireless activist Moore has long lamented our disturbing creep toward totalitarianism, exploring the topic in V for Vendetta — which unleashed the ubiquitous, grinning Guy Fawkes mask that’s been worn by members of Anonymous and the Occupy movement — as well as in Watchmen and most recently The League of Extraordinary Gentlemen Century: 1969 , which darkly closed out the surreal yet optimistic ’60s to make way for a dispirited, destructive ’70s and beyond. Moore knows more than many how much the Occupy movement means to those who watched as last century’s activist spirit was siphoned away by mindless consumption and militarism. Predictably, that struggle has cropped up again in the wake of last century’s overlooked political and economic inequities, as well the still-new century’s uniquely dystopian nightmares. (Infinite detention for Americans? WTF, Congress?) Moore has rarely missed the chance to lend his name to righteous causes, as his recent support for the late, great Harvey Pekar’s memorial, as well as an excellent takedown of Frank Miller’s Occupy paranoia, illustrate quite nicely. Moore’s support for Occupy Comics is another worthy piece of the 99 percent’s overdue payback. “Moore elevated the discussion beyond Miller’s crude vilification to critical topics like governing systems, the madness of derivatives markets, and how currency is used to control populations,” Pizzolo said. “The juxtaposition of the two points of view is fascinating, because it’s so obvious that Moore and Miller are operating on different intellectual planes.